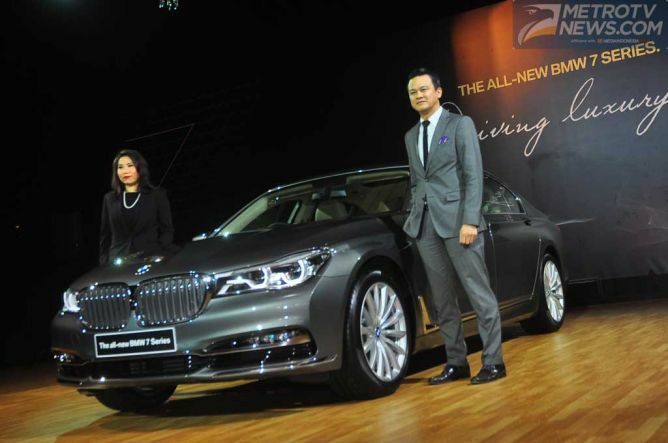 OtoSome- BMW Group Indonesia (BMWGI) today Thursday, October 8th officially presents the all-new BMW 7 Series. Their latest flagship sedan is the first time appeared in the Frankfurt Motor Show in September. "All-New BMW 7 Series is BMW's flagship luxury sedan and will continue to play a role in the success of BMW in Indonesia. Luxury has to offer is a combination of comfort, dynamism and elegant design," said Karen Lim, President Director BMWGI. Mechanical heart of this car capacity of 3000 cc with an output of 326 horsepower with a peak torque of 450 Nm. This machine is claimed to have a fuel consumption of 15.2 kilometers per liter. All-New BMW 7 Series comes in two variants, the BMW 740Li and BMW 740Li Executive Pure Excellence. Regarding the price, 740Li Executive Rp.2,089 billion and 740Li Pure Eccellence Rp.2,499 billion. Everything is priced off the road.